Pain Relief: Awesome Toes! naturally stretch your feet after a long day of work. Loved by anyone who wears high-heeled shoes, work boots, or spends all day on their feet.. Stretch Out Your Deformed Toes & Feet: buckled-up feet, overlapping toes, and even bunions and hammertoe can be caused by restrictive footwear and years of walking poorly. Awesome Toes! help stretch the shortened connective tissues of your feet so they regain their natural shape and range of motion..
Active-Wear Design: Awesome Toes! can be used at night, while watching TV, while practicing yoga, and even in wide-toed athletic shoes for running. Most toe separators on the market fall off or break during activities, but Awesome Toes! are designed for durability and comfort during yoga practice, dance rehearsals and while engaging in sports..
2 Pair (standard & large sizes) + Designer Wooden Box: no need to fuss over the right size, you get both standard and large sizes so you can determine the best fit for you. Naturally soft, latex-free SEBS Rubber. 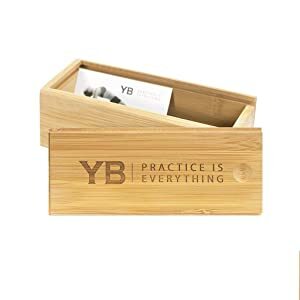 Comes in a designer, engraved wooden box that many clients leave on their nightstand to remind them to wear their Awesome Toes! to sleep..
1-Year Warranty: Awesome Toes! are soft, strong, and durable. They are backed by a 1-year warranty.. 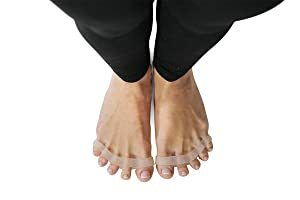 Finally active wear toe separators for yoga, dance, running & bedtime uses - awesome toes, were originally created by yoga body founder, Lucas Rockwood, to reverse his lifelong buckled toes and tighten feet that were making it difficult to balance in yoga classes. Very quickly, students who wore high heels, people who wear work boots, and service industry clients who spend all day on their feet gravitated toward this active wear solution that can dramatically change the shape of your feet by lengthening your connective tissues. 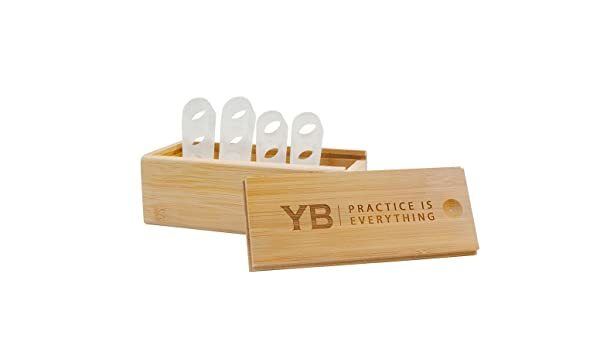 Includes: 2 pair (standard and large sizes) and an engraved wooden box for storage. 10-Year warranty. Common uses for awesome toes! 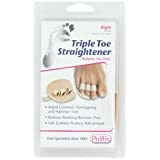 include: foot pain, plantar fasciitis, tendonitis, hammertoe, bunions, overlapping toes, generalized foot pain, lack of toe dexterity, and poor gate and balance problems. 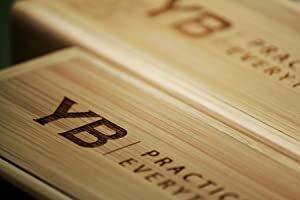 Yogabody is an independent yoga education and products company owned and operated by career yoga teachers. We make great stuff, and stand behind our products unconditionally. Neur Beauty Toe Separators - Comfortable Silicone Toe Stretchers for Fast Pain Relief, Effective Toe Straightening. Stretch Fit, Easy to Use. 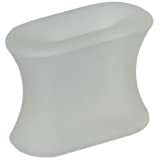 Durable Bunion Relief for All Size Feet Men & Women.